In the world of social media and ‘crowd-sourcing’, surely The Collaborator is the best leadership style for our times? 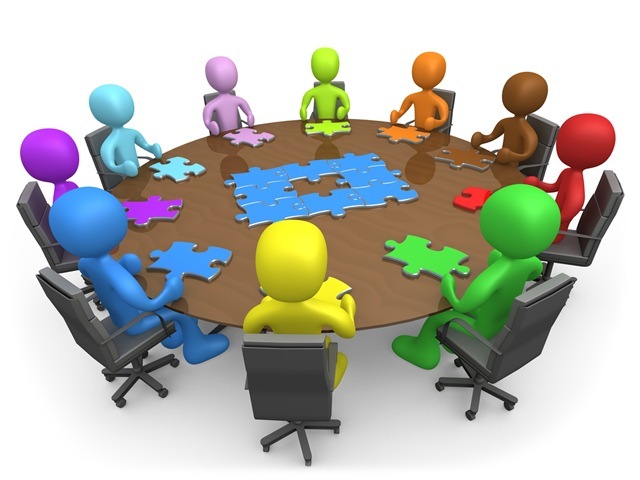 The Collaborator is a very open and collective leader in running a team. Ideas move freely amongst the group and are discussed openly. Everyone is given a seat at the table, and discussion is relatively free-flowing. The Collaborator creates and facilitates dialogue, encourages people to share their ideas, and then synthesises all the available information into the best possible decision. They communicate that decision back to the group to bring unity once the plan is chosen. The Collaborator is needed in dynamic and rapidly changing environments where very little can be taken as a constant. In these fast-moving organisations, every option for improvement has to be considered to keep the group from falling out of date. When situations change frequently, the Collaborator offers a great deal of flexibility to adapt to better ways of working. Unfortunately, they are also somewhat slow to make a decision, so while they may embrace newer and better methods; they may not do so very quickly. This kind of leadership style can bring the best out of an experienced and professional team. It capitalises on their skills and talents by letting them share their views, rather than simply expecting them to conform. If a decision is very complex and broad, it is important to have the different areas of expertise represented and contributing input – this is where the Collaborator shines. Creative teams or organisations: Ideas need to flow in creative environments to find create new concepts and designs. Consulting: When paid to explore problems and find solutions, their role will be to explore the possibilities in depth, and that means there has to be a great deal of exploration and open discussion. Service industries: New ideas allow for more flexibility to changing customer demands. Education: Few places need to be more open to different ideas than education, both by educators and their students. Keeps communication open – Everyone needs to feel comfortable enough to put their ideas on the table. Keeps focus in discussions – It’s hard to keep unstructured discussion productive. It’s the Collaborator’s job to balance being open to ideas and keeping everything on track. Must be ready to commit – Through collective discussion there may be so many possibilities and suggestions that it can be overwhelming and difficult to commit. But as the Collaborator, when the time comes, they must choose and do so with conviction. The team depends on the clear and unambiguous mandates to be committed. Respects all the ideas – The Collaborator might not agree with every idea the team has, and that’s ok. It is important, however, that there is a healthy environment where all ideas are listened to and considered, not dismissed out of hand, or the flow of ideas will falter or stop altogether. Explains, but doesn’t apologise – It is important that the initiators of ideas not selected, understand that their thoughts were considered and had merit, but that ultimately you had strong reasons to go a different direction. Because group members are encouraged to share their thoughts, The Collaborator style can lead to better ideas and more creative solutions to problems. Teams feel more involved and committed to projects, making them more likely to care about the end results and in turn this often leads to higher productivity. Whilst the Collaborator can be the most effective leadership style, it does have some potential downsides. In situations where roles are unclear or timing is critical, this style can lead to communication failures and uncompleted projects or at best, late delivery. In some cases, team members may not have the necessary knowledge or expertise to make quality contributions to the decision-making process, which may lead to dead-ends and re-work. The Collaborator works best in situations where the team is skilled and energised. It is also important to have plenty of time to allow people to contribute, develop a plan and then vote on the best course of action. If you’ve missed the other parts of the Leadership Styles series, please visit – The Terminator, The Coach and The Oracle.